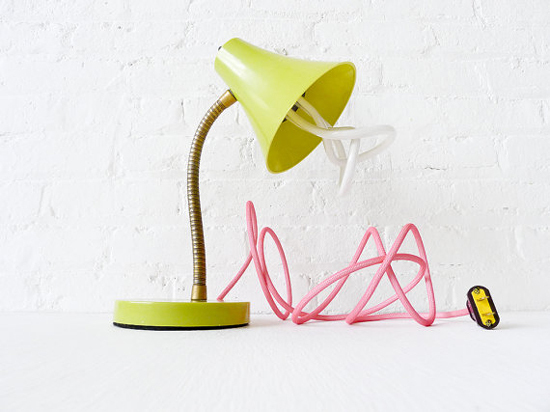 digging these industrial desk lamps with bright complimentary cords! i like that the cords make them feel fresh & updated. keeping these in mind for our new home office. Thank you for this sweeeeeeeet feature! oh that second one is fantastic! love it. So fun not to have to hide the cords! (or to have to stare at ugly ones all the time) Love the way they’ve wrapped some of them, such a great idea! SWEET! 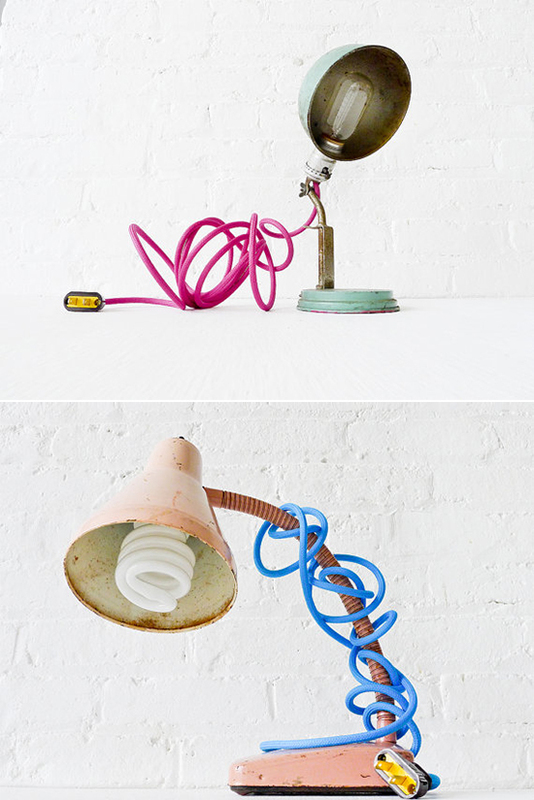 These lamps are very cool, thanks for sharing! I had her do two custom lights a few months ago and they are great. highly recommend her! These are so gorgeous. I love industrial lamps and the colors are so beautiful here. Those are amazing! Perfect for what I’ve been looking for for my office. Thanks!